Precision, quality and an unwavering guest for perfection resulted in constant upgrading of technology and expansion of the existing production facilities to meet the growing demand. FMI is an ISO-9001:2000 Certified company where stringent quality control system are being religiously followed to ensure complete customer satisfaction. FREEMANS quality is Comparable to the best international standards. FREEMANS products have earned worldwide recognition, with well established markets in over 60 countries. FMI was among the first non-European companies to Obtain EEC approval for FREEMANS products. The Company has been obtaining export excellence awards year after year. At FMI, the quest for excellence is an on-going process. Backed by the valuable assistance of our dedicated professionals, we are indulged in offering highest quality gamut of Shox Measuring Tape. • Extended rubber design protects the end hook against damage on impact. • DURA COAT TM 4 times longer life glare-free blade. 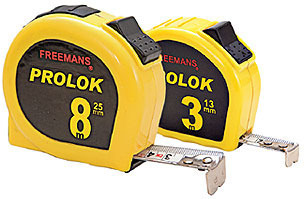 Wider in size, these Prolok Measuring Tape are demanded in commercial area. Offered tapes are easy to use and made of superior quality input that is recommended by experts. •Compact contour design case with rubberized grip. •Click action lock is ideally positioned for locking with thumb. •Retractable cushion to protect the end hook. 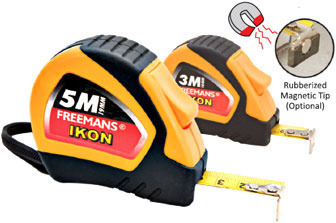 •Hand strap (optional) for easy carrying, without obstructing inside measurement. •Available in yellow, chrome, satin chrome & fluorescent colors. * 2/3/3.5 m are without rubber grip. DURA COAT™ 4 times longer life glare-free blade. 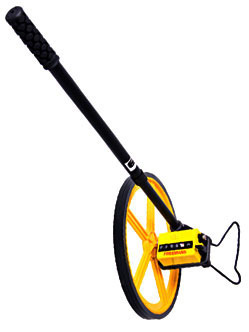 Measuring wheel with paint marking system. Heavy duty ribbed body for extra strength and improved grip for professional use. 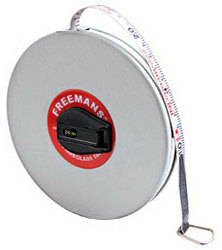 We are engaged in manufacturing and offering a quality assortment of Fibre Glass Tape Measures. 3 times faster, quick wind geared system. Sturdy extra long winding arm. Soft feel handle for comfort and non-slip grip. Protruding marker at the bottom of case. Tough vinyl leatherette covered steel case to withstand difficult conditions. 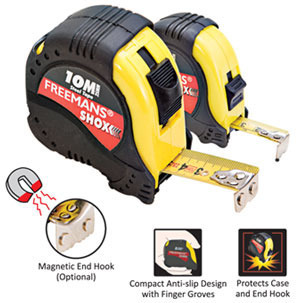 Durable winding mechanism ensures long trouble free usage. Hand strap available as optional extra. 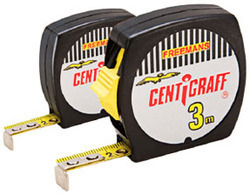 We are a most trusted name in between the topmost companies in this business, instrumental in offering high quality array of Easylock Measuring Tape. Tough ABS case, fits the user's hand comfortably. Grooved case sides prevent slip. 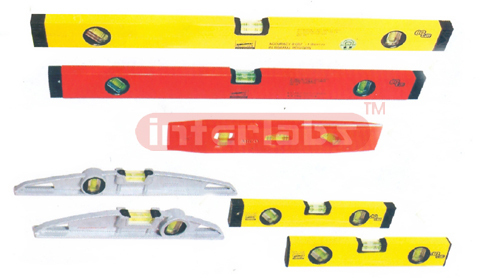 Available in chrome, stain-chrome, black, yellow & fluorescent colors. Slide action non-slip blade lock. 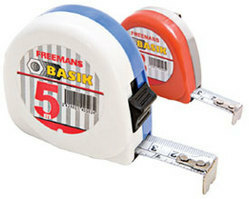 We are among the illustrious names in the industry, bringing forth Basik Measuring Tape for our priceless customers. ABS case with lock (BKL) or without lock (BK). Short distance positive click lock. 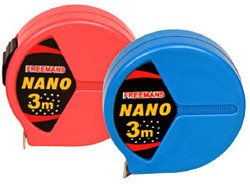 Keeping in mind the varied requirements of our honored clients, we are involved in trading and supplying a wide range of Nano Measuring Tape.